I guess it's true what they say, the good die young! Our condolences go out to the Collier family and the MIT family. Officer Collier thank you for your selfless service and you will be dearly missed by many. Thanks for protecting us here at MIT. Thank you for your service and for your bravery. Our condolences to Officer Collier's family. You shaped this terrific young man into the very much loved and respected person that he was - my sincere appreciation to you, friends and family and colleagues of Officer Sean Collier. He had no idea what he was getting himself into, and Sean is a hero because just that. That is what his job consisted of- the unknown evil. He sacrificed his young life for the good of Boston, for Massachusetts, and the United States. So proud it is people like he who protects us every day. Prayers to his family and friends who knew him personally. But now- he is a friend of all of us. Best wishes for your families at this hard time. Thank you so much for the service and sacrifice to MIT community. Our hearts are broken, and we never knew you. But, rest assured, we will never forget you. May you rest in peace, Sean. May the angels lead you into paradise. My thoughts & prayers are with Officer Collier's family and friends. On behalf of all the MIT chaplain, please accept our sorry. If we can do anything, please ask. We never met, though we were neighbors in Somerville and on campus at MIT, yet I will always think of you when I pass your street and walk through campus. May you rest in peace, knowing that you were greatly loved and appreciated by this community. Thank you for keeping me, my friends, my labmates, and my entire community safe from harm. I wish your family and friends the very best. 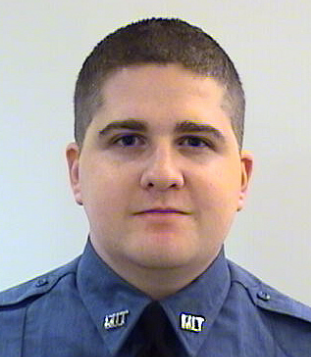 My deepest condolences to the family of Officer Collier and to the MIT Police force. He will forever be part of our MIT community. Officer Collier, your joy was a gift to so many, and your commitment a stellar example. You were a blessing to us all, and you will be sorely missed. Thank you for your service. Your courage will be remembered forever. May you rest in eternal peace! Thank you Officer Collier! You will be missed! Rest easy, Officer Collier. You did good. God bless Sean and his family. We love you! We owe a debt of gratitude both to Officer Collier and to all the MIT police officers who put their lives at risk every day to make our campus safe. Though I didn't have the privilege of know Officer Collier personally, I've learned from him a lesson about service that I won't soon forget.